Vintner's Select Members receive quarterly shipments of (4) four BOTTAIA wines every year, shipped directly or available for pick up at the Winery. The cost per shipment will vary between $120-$200 (plus tax & shipping). 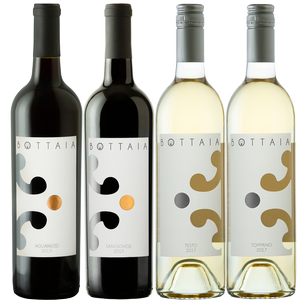 As a member here at BOTTAIA, you are able to customize your May shipment by selecting a minimum of 4 bottles below.